esProc can process json data. Here we’ll introduce some of the applications through examples. 1. Analyzing and generating json data with esProc; 2. Data-interchange between esProc and application program through json; 3. Reading json file data in esProc. Generally speaking, json is a format used by webpage js program and Java’s server-side program (such as servlet) to interchange data. While data access between Java’s server-side program and the databases adopts SQL result set format. esProc can act as an intermediary in the data computation and data-interchange between the two formats. 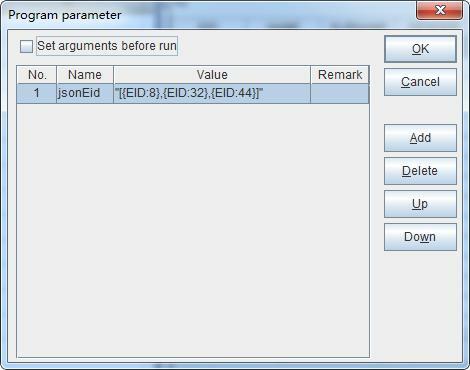 1. esProc program test.dfx receives a parameter: jsonEID. A1： Connect to database demo. 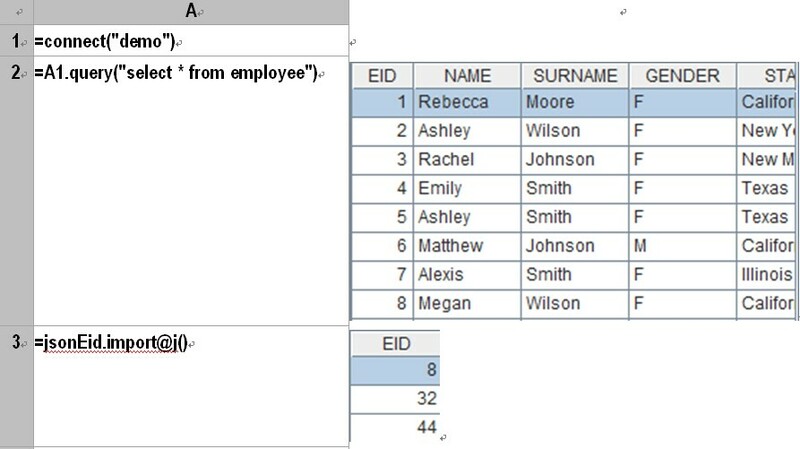 A2： Retrieve data from table employee. 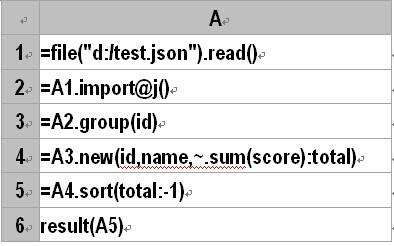 A3： Use import@j function to parse the inputting jsonEID parameter (EID list in json format) and generate a table sequence containing only one field EID. A4： Use align function to get from users data the employee information designated by A3. A5： Convert employee information into json strings. A6： Return employee information of json format. 1. Deploy esProc in Java application. See esProc Tutorial for detail. 2. Call test.dfx in Java application. 2. Java application calls fromJSON.dfx to present result. Steps are omitted here for they are almost the same as those in the above example.